Cupola in the upper right. Tony and Garrett confirm go to latch. Latched on 3 and 4. Go for limping (never heard that before). Confirmed ICC is latched. 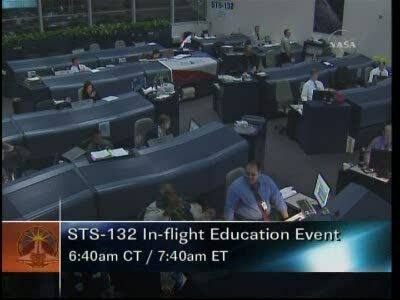 Go for SSRMS release. 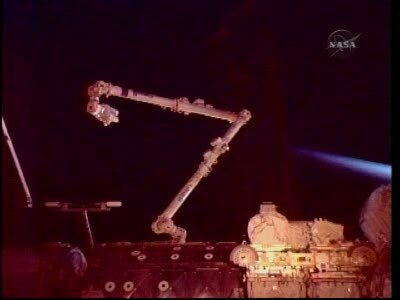 4:50am Central for time of ICC robo ops complete. And Ku's back with a view of the ICC back in its Atlantis PLB home. 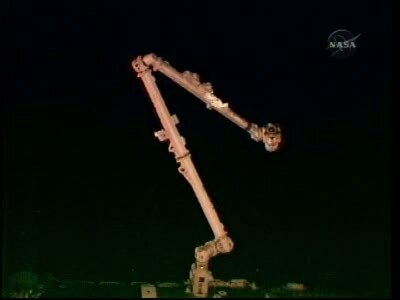 Next step is to release the SSRMS grapple fixture. Passing over China. 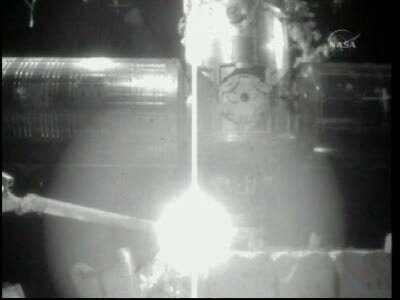 SSRMS: Latching End Effector releasing the grapple pin. Peirs and Garrett praising the people involved with Robo training for the last big arm ops for the mission. 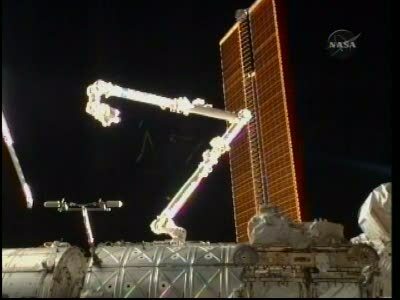 Tony has a go for transitioning the OBSS to undock. That's pretty much it bar transfer calls until an education event in an hour or so. Mike will be keeping an eye on things for the interim.